On Wednesday, after days of delay, the composition of Prime Minister Cheikh Modibo Diarra’s government was finally announced. Like the prime minister himself, most of the cabinet ministers selected are outsiders to Bamako’s political scene, and could not be easily associated with Mali’s classe politique. None had served in governments under ousted president Amadou Toumani Touré (ATT) over the last decade. Observers have already raised a number of objections to Diarra’s cabinet. Some say its key posts have gone to the military, which is true: the ministers of defense, territorial administration, and internal security are all military men. It’s worth noting, however, that the same was true in ATT’s last government, where these same ministries were run by high-ranking army officers. The difference this time is that Mali’s three soldier-ministers are close to the CNRDRE junta. This is especially true of Colonel Moussa Sinko Coulibaly, Minister of Territorial Administration (akin to an interior minister): until yesterday he was junta leader Amadou Sanogo’s chief of staff, and he has already paid a visit to the latter in his Kati headquarters, showing where his first loyalty lies. Another complaint is that the new government defies the spirit of the transitional agreement signed earlier this month between the junta and the West African regional body ECOWAS. This allegation has been made by both the anti-putsch Front uni pour la défense de la République et de la démocratie (FDR), composed mainly of “old-guard” political parties that had participated in governments under ATT’s rule, and by the formerly pro-putsch Mouvement Populaire du 22 Mars (MP22), composed of some of the most radical critics of ATT’s rule. Their specific objection is that the cabinet is not a “government of national unity” as called for by the transitional accord. What they really mean is that none of their people were chosen for it. MP22’s decision to end its support for the junta in response to the new government’s formation is hardly surprising: the movement’s leader, Oumar Mariko, has been angling for a job in the transitional government since the first days of the coup. A critique levied by RPM party boss Boubacar Touré, among others, is that the new cabinet shows too much influence from neighboring heads of state, particularly Blaise Compaoré, President of Burkina Faso. The most senior cabinet member, Sadio Lamine Sow, placed in charge of the Ministry of Foreign Affairs, has served as a special adviser to Compaoré in Ouagadougou for several years. The new Minister of Communications and Information Technology is Hamadoun Touré, who as spokesman for the United Nations mission in Côte d’Ivoire last year was seen as someone close to Ivoirian President Alassane Dramane Ouattara. Notably, the cabinet includes several “Maliens de l’exterieur” — like the prime minister himself, these are migrants who’ve spent much of their professional lives abroad. It’s also true that the government lacks women (only three out of 24), and that northerners are under-represented, in contrast to successive ATT cabinets in which northerners in general, and Tuareg in particular, were highly visible. But let’s look at the positive side. One noteworthy choice is the new justice minister, Malick Coulibaly. He is a former assistant prosecutor whose claim to fame is having resigned his job nearly four years ago in protest of high-level interference in one of his cases. The case was a banal dispute over a cow, but the prosecutor’s resignation was surprising because such gestures of principle have been rare in Mali (where, all too often, resigning from government means unemployment). Coulibaly’s appointment is therefore highly symbolic. Malians have little faith in their judicial system, as I pointed out in a previous post; one elderly man once told me, “Judges in Mali aren’t 100 percent corrupt. They’re 1000 percent corrupt.” The hope is that Coulibaly will be able to clean house. Like a lot of Malians I’ve heard from since yesterday’s announcement, I’m inclined to see the formation of this new government as an encouraging sign. Yes, the cabinet shows the continuing influence of the junta, but most of its members appear to have been selected based on professional competence rather than party affiliation or partisan loyalty. This, more than anything else, is what upsets the bigwigs of the classe politique, and that’s just fine with ordinary Bamakois. Given prevailing public distrust of Mali’s established political parties, I doubt that protests by either the FDR or the MP22 against the new government will get much traction. The cabinet’s infusion of “new blood,” on the other hand, has been widely hailed in Bamako as a very good thing. Being a political unknown is an asset these days. We should be wary, however, of the strong emphasis during this transitional process on the personal integrity of public officials. The way people around here tend to describe things, previous governments were venal and corrupt because the ministers named to them were immoral individuals who never received proper upbringing. Not enough Malians appreciate the extent to which bad governance stems from institutional rather than individual factors. Personal integrity is well and good, but in the absence of effective institutional controls, even upstanding individuals can achieve little in the fight against corruption. Mali’s new government should be hailed as an important step forward, but it will need to build a climate where the rule of law prevails alongside respect for the state and its institutions. That battle is at least as important as the battle to reunify the country and regain the north, and in the long run Mali can’t succeed without winning it. 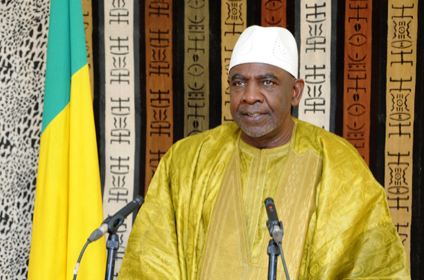 This entry was posted in Uncategorized and tagged bamako, mali, modibo diarra, politics. Bookmark the permalink. This is spot on. I know several Malians working on issues pertaining to decentralization/good governance who have echoed these sentiments for years. It’s easy to forget that establishing institutional controls is a social process, and to a certain extent, it runs contrary to traditions of compromise/consensus driven governance. To date, Malian politicians have not had the incentives to build institutional controls, because the political system rewards maintaining broad political alliances and short-term consensus building. Even with the problem correctly diagnosed, changing incentives is incredibly difficult. Now Mr Sanogo reject all the CEDEAO propositions and says that he will “take his responsibilities” if the delay of 40 days isn’t respected by the interim government.